Features Tough and durable, for sports training. Compact, portable, convenient, without need a training partner. Jumping rope can accelerate blood circulation and metabolism. 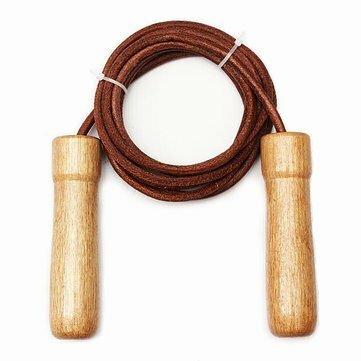 Rope skipping also can burn the fat, contract the muscle and help to create perfect figure. Ergonomic grip design comfort-grip wooden handles. Special 90 perpendicular swivel design.